My Comments: We’ve been living in a low interest rate environment for some years now. The general consensus has been that they can’t get any lower and that the Fed will push them up if and when the US economy starts to see any inflationary pressure. I know that clients, who for years depended on bond yield to satisfy their need for monthly income, have suffered. Folks who want the guarantees offered by Certificates of Deposit have despaired when they know they will only generate about 1% per year. Common wisdom tells many of us that safe investments are government issued bonds. And then they look at the S&P500 over the past few years and decide 20% is normal. Now here is an article by a respected economist that tells us that interest rates can go lower. This is spite of negative interest rates in Japan where the central bank CHARGES you for buying from them. If you know what’s going on, please let me know. When 10-year Treasury yields ended 2013 at 3.02 percent, some may have thought I had taken the wrong end of the bet. But in early August, 10-year Treasury yields went as low as 2.35 percent and I believe the path of least resistance on interest rates is still lower. A number of factors have helped push Treasury yields lower. With yields on German 10-year Bunds dipping under 1 percent for the first time and Japanese government bonds yielding around 50 basis points, Treasuries look comparatively attractive. Add to that the perception that both the yen and euro are a one-way bet toward depreciation and it is reasonable to expect that international capital will continue flowing toward the U.S., pressuring Treasury yields down as quantitative easing draws to an end. 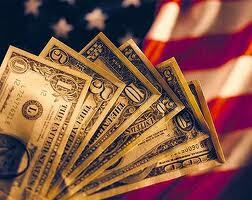 Tensions from Ukraine to Iraq have added to a flight-to-quality trade, boosting demand for U.S. Treasuries. With the size of incremental U.S. government borrowing also expected to decline because of shrinking federal budget deficits, Treasury yields could move lower. My original forecast of 2.0 to 2.25 percent still seems reasonable. Nevertheless, markets do not move in straight lines, so yields could retrace to 2.5 percent in the near term. Ultimately, as rates head back toward 2 percent portfolio managers should use the rally to reduce interest rate risk. As anyone experienced in investing in the U.S. mortgage market knows there is a phenomenon that traders call the “refi bid.” When interest rates fall, a larger percentage of mortgages become economically attractive to refinance at a lower interest rate. Whenever a threshold is breached where a large amount of mortgages make attractive refinancing candidates, prepayments spike up dramatically and portfolios that own mortgages have a sudden surge in cash. This causes portfolio duration to shorten and leads to a need to buy longer duration assets in order to maintain the target portfolio duration. This demand surge can result in a sudden and dramatic decline in rates. Currently, I estimate that the next “refi level” will hit when the 10-year Treasury yield drops to about 2.25 percent. An unusual feature of this potential wave of mortgage refinancing is that the vast majority of U.S. mortgages are on the cusp of being candidates for refinancing, given the relative stability of mortgage rates over the past year or so. Additionally, there is one dominant holder of these mortgage securities that has vowed to reinvest in new mortgages as prepayments come in—the Fed. Traditionally, in a refinancing rally, spreads on mortgage-backed securities (MBS) widen due to increased prepayment risk and expected increases in supply. Spreads will not widen on this occasion to the same extent as during previous refi rallies for a number of technical reasons. Among those reasons is that the Fed, the biggest mortgage investor on the block, has made clear it will reinvest principal repayments dollar for dollar. Normally, the widening in mortgage spreads mutes the impact of the rate decline on mortgage rates, slowing the pace of refinancing. This time, advertised mortgage rates are likely to fall more rapidly than in prior refi experiences.